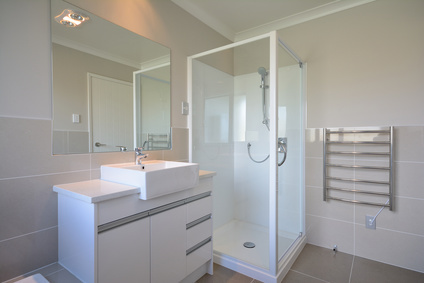 Showers are seen as a luxury compared to other places around the world. But when you turn the shower head on, you expect a certain amount of water to flow out. When it doesn’t, your shower will most likely be disappointing and frustrating. There are a few different reasons why water pressure is not as high as it should be. Identifying which reason will help you tackle the problem and get your showers back. The first place to check is the actual fixture. It could just be a buildup of hard water deposits known as lime scale that are blocking the water. If you live in an area such as the Midwest up through Ohio and even into Texas, you are known for having some of the hardest water in the nation. The West coast and Florida can also be especially hard on plumbing. But, nevertheless, any fixture can experience the occasional blockage. To clean the fixture, you should be able to remove it by twisting the nozzle by hand or with a pair of pliers. There are many de-scaling solutions to choose from, but even a simple vinegar solution should do the trick. If you have the shower/bath unit with a diverter to alternate between running the tub’s water and diverting the flow to the shower, you may have low water flow caused by a malfunctioning in-wall diverter. You may or may not have water simultaneously flowing out of the bath spout. Depending on your faucet, there are repair kits available with DIY instructions to replace the damaged part. Helpful Hint: You do need to turn off the water supply to the shower before beginning the job. Older homes are notorious for having steel pipes that have lived a long and productive life. After around 20 years, the inside of those pipes have become so narrowed with corrosion and lime scale that the water flow is greatly diminished. The unfortunate side is there is no easy fix for this one. Eventually all the pipes will need to be replaced with today’s rust resistant PVC and copper pipes. You may be able to hold off on this more costly repair for a short while by changing the faucets to modern low flow faucets with aerators. **It is always a good idea to replace older pipes due to toxic lead exposure and the increased risk of major leaks.